POAAL’s Blue Riband service is available to Mail & Parcel Contractors and Messenger Post couriers. 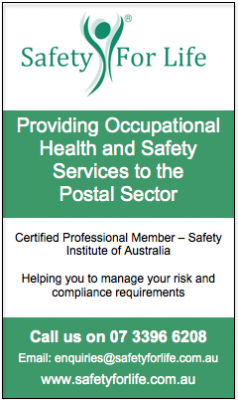 Members who take the Blue Riband service receive their receipt, membership card and insurance certificates (and duplicate insurance certificates to give to Australia Post), POAAL insurance summaries, organised and labelled in a display folder. There’s also labelled space for you to include a copy of your contract, vehicle insurance details, and other documents relating to your mail contract. Simply select the Blue Riband option on the POAAL membership form and include the appropriate payment amount with your membership and insurance payment. It’s a great way to keep your documentation organised – and it’ll help you keep track of your documents, and when you supplied copies of your insurance certificates to Australia Post. Look for the Blue Riband option on your POAAL membership and insurance form. If you have any further questions about POAAL’s Blue Riband service, contact the POAAL National Office on 03 96544533.